Well. 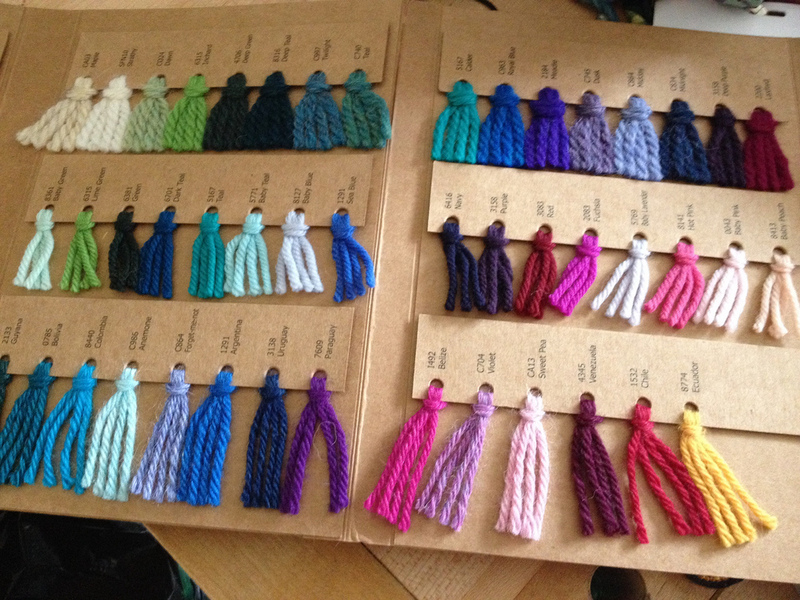 It's now been just over a week since the 2014 edition of the Great London Yarn Crawl, and I think we're finally caught up on all the thank yous and updates that we've needed to do. It was an amazing day. I went off in the morning to St. Margarets to meet up with a couple of the teams before they went to Mrs. Moon. Then it was a rapid shuffle back to The Parcel Yard to help get everything set up for the after party. It was absolutely incredible. I was stationed on the table for raffle tickets, with the prize basket prominently displayed. I wasn't really expecting too much in the way of knitted donations, because I hadn't seen much chatter on the boards, and, well, people are busy. Boy was I wrong! The above is only part of the knitted donated goods we collected. All together, GLYC participants knit 149 items for Refuge, and the event in total raised £812, almost three times the amount raised last year. Unbelievable! Lots of other people have shared their thoughts and experiences on GLYC 2014 - if you check out the GLYC Media page, you should find links to lots of blog posts and podcasts. Thank you again to so many people for making the event such a huge success: the shops, our sponsors, our fantastic and enthusiastic volunteers, and all of the participants who came out, hauled their cookies around London for an entire day, and still managed to have the energy to come have a drink and show off their goodies at the after party. We'll see you all next year! The second annual Great London Yarn Crawl kicks off tomorrow, and amidst all the chaos and last minute firefighting and excitement leading up to the day, I've been thinking about why Allison and I organise this brouhaha, and what it's come to mean to me. 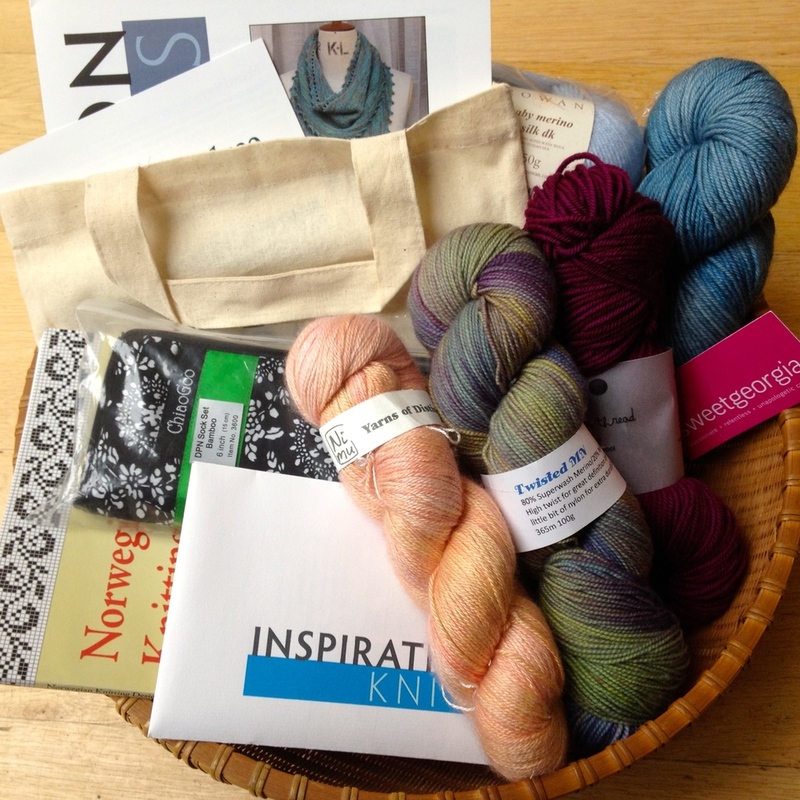 When we started off, we decided that we wanted to create something that was about the community of knitters that we are a part of, and about trying to bring that community together for some real life interaction. I find that much of my interactions with other fiber/yarn people takes place online. God bless Ravelry, which has put millions of like-minded individuals in touch with each other all over the world, but it doesn't provide the same sort of connection that meeting up with people in the here and now. The GLYC is a way for people to come together and make new friends, find new shops to enjoy in the future, and discover new independent vendors and designers who have been so incredibly generous in their sponsorship (from left to right below: Kettle Yarn Co, Rock + Purl, Countess Ablaze, Artesano Yarns, and Tin Can Knits). This year's GLYC has expanded from 6 routes to 8, added four new shops that we're really excited about, and has, once again, a vast pile of goodies to give away at the after party, this year sponsored by Pom Pom Quarterly. In fact, we have so many goodies that we've been able to pull together a Grand Prize basket to be given away tomorrow night in a raffle designed to raise even more funds for our charity partner, Refuge. This year we also sold out the event, which means that over 100 eager knitters, crocheters, spinners, weavers and sewists will be taking to the London streets tomorrow on a whirlwind adventure! I've got a little contribution of my own to this community building event: my latest pattern is ready to be published today. This was originally submitted to the Unwind Brighton design contest, and I'm thrilled that it's finally ready to be released. Meet the Brighton Dome Socks. To celebrate the release of the pattern (finally!) and tomorrow's GLYC extravaganza, I'm going to give this pattern away for free from now until midnight tomorrow, 20 September 2014. 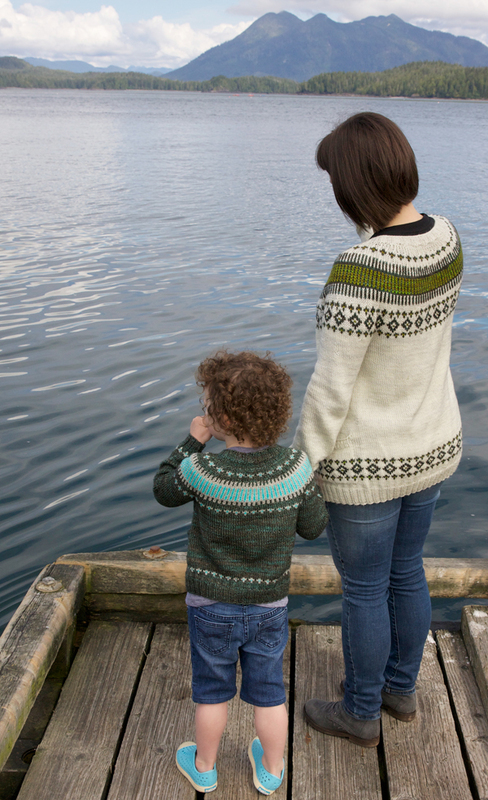 Simply go to the Ravelry pattern page, add the pattern to your cart, and put "GLYC2014" in the coupon code box - voila! Free sock pattern! Please note: this offer will end automatically at midnight on 20 September, so don't forget! And if you're on the Yarn Crawl tomorrow, pick up some lovely high twist sock yarn to knit these babies up for the coming cold weather. I'm looking forward to an exhausting and exhilarating day tomorrow, and to enjoying some time with my community. See you there?